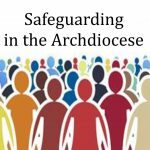 “Launch Out is essential for lay leadership to assist the Diocese in providing the best pastoral and spiritual care, and to work with our Priests in ensuring sacramental care”. Tell Me Again – What is Launch Out? Launch Out is the formation programme designed and initiated by the Archdiocese for future lay pastoral leaders. There are currently fourteen candidates in the programme. We hope that their number will continue to grow. Launch Out has been set up to train and form lay men and women who are interested in full or part-time ministry in the Church. As churches have merged into larger parishes, the Archdiocese will need to continue to appoint lay pastoral leaders to minister as members of the new parish teams. 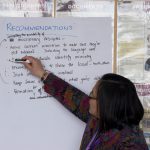 Since pastoral leadership includes spiritual and pastoral care, and general administration, as well as liturgical and catechetical leadership, the formation programme is comprehensive, practical as well as theoretical, and grounded in pastoral spirituality. The prospective candidate submits a completed application form and curriculum vitae, with contact details of at least three referees. A separate reference is supplied by the Parish Priest or Lay Pastoral Leader. The prospective candidate is then interviewed by a panel, consisting of Cardinal John Dew (Archbishop of Wellington), Mrs Mary-Ann Greaney (Leader of Archdiocesan Parish Leadership Ministry) and Ms Joan McFetridge (Formator/Manager of Launch Out). To complete a course of academic study from The Catholic Institute of Aotearoa New Zealand which includes the Certificate in Christian Studies – Christian Ministry; Diploma in Christian Studies – Christian Leadership and five Pastoral Leadership Professional Papers. To have a Spiritual Director, attend Days of prayer and recollection, and attend an annual Retreat. To participate annually in a pastoral experience project, either in their own parish or a neighbouring parish. This pastoral experience will reflect an ability to plan, design a pastoral project, collaborate with others, execute the task, and evaluate their performance. 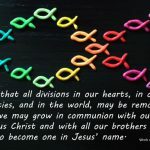 They will also be required to learn and practice the skill of theological reflection. During their formation candidates will be assessed and reviewed. They need to be people of faith and prayer, have good communication skills, have the ability to listen, be open to change and be willing to be trained and directed. Candidates are expected to keep their current employment during their formation as this is a part time process that may take from four to six years to complete. Candidates who satisfactorily complete the course will be endorsed by the Archbishop and their availability for a pastoral leadership position will be made known through the Archdiocese. Training for parish workers or pastoral assistants.